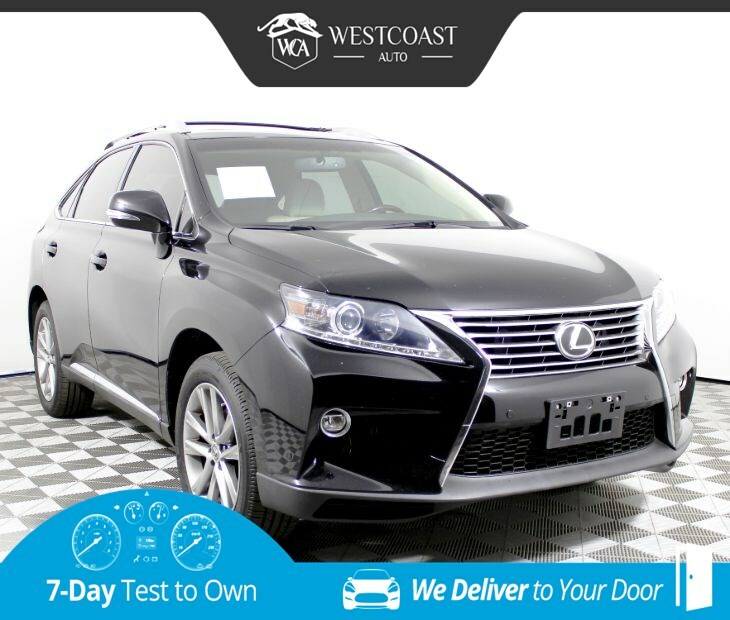 Enjoy the convenience of luxury in our One Owner 2015 Lexus RX 350 in Stargazer Black. Powered by a 3.5 Liter V6 that offers 270hp matched to a smooth-shifting 6 Speed Automatic transmission for easy passing. This Front Wheel Drive combination scores near 22mpg on the open road and shines with agile and dynamic handling, a cabin that insulates its passengers from outside distractions, and the sure-footed confidence you need. See the sleek exterior of this RX 350 exudes trust and refinement with prominent alloy wheels and an overall wow factor of Sport Luxury. Notice the luxurious RX350 cabin is all about personalized luxury and technology attuned to you. The comfort of dual-zone automatic climate control and power-adjustable seats are appreciated, as are heated outside mirrors and an auto-dimming rearview mirror. The straightforward, yet state-of-the-art technology is refreshingly easy to use with a prominent display screen, navigation, sunroof, heated front seats, rearview camera, available satellite radio, an iPod interface, a fantastic sound system, and Bluetooth phone and audio connectivity. Of course, cargo space is necessary, and you'll have plenty for home improvement projects, trips to the warehouse store or a fantastic adventure with your family.